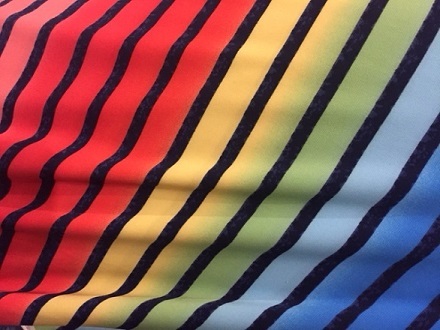 60″ wide 95% Rayon 5% Lycra awesome bright colors for the season. Superb quality with a liquid buttery drap. The weight is perfect for a Tunic top, long maxi dress, skirt. Definite a show stopper!